Play these Flash or HTML5 based online slot machine games provided by WorldMatch at Top Free Slots. No download required to play the games - just click on the image and wait for the game to be loaded in your browser window. You can play all these WorldMatch Slots for free or try your luck for real money at sponsored online casinos. You can play classic slots or 5 reel video slots with multiple lines of payout, exciting bonus features, and wild and scatter symbols to increase your winning potential. rr The ethereal beauty of an angel, or the sexiest she-devil, which will you choose? With Angeli e Demoni25 slot machine, you can actually have both and double the fun. 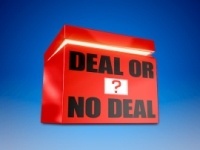 This new 5-reel, 3-row slot from World Match has..
Deal or No Deal Slot is a 20 payline online slot machine from WorldMatch. rr Based on the worldwide popular prime-time TV show, â€œDeal or no Dealâ€� slot is a 5-reel 3-row video slot game with 20 pay lines and.. This is a new 20 payline slot machine developed by WorldMatch. rr The God`s have spoken with the classic Olympus Reels slot machine! Join in ancient Greek myths by climbing the sacred mountain and win.. 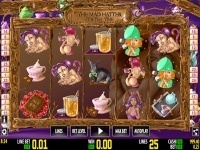 The Mad Hatter is a 20 payline slot machine game created by WorldMatch. rr The Mad Hatter slot created by World Match is a really fun 5-reel 25-payline free video slot based loosely on the Alice in Wonderland.. This is a 50 payline online slot machine from WorldMatch. 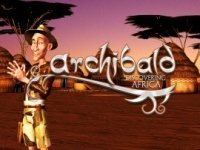 rr The game strikes as filled with potential for big wins through its many features like free spins, bonus games, scatter, wild and a wild..
Archibald Maya is a 50 payline slot machine developed by WorldMatch. 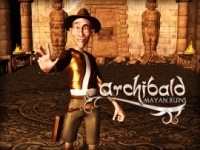 rr The slot would provide you with the chance to help your beloved Archibald hero to escape the Mayan ruins. This sets a particularly.. This is a 50 payline slot machine game created by WorldMatch. rr The Archibald sequence goes on with the Orient edition. 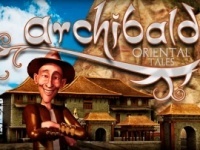 For regular slot players this is a well-known title, and it furthers the..
Archibald Oriental Tales is a new 20 payline online slot machine from WorldMatch. 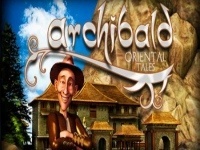 rr Go on the adventure of a lifetime across the Orient with famed explorer Archibald in the fun new 50-payline Archibald Oriental Tales.. This is a 20 payline slot machine developed by WorldMatch. 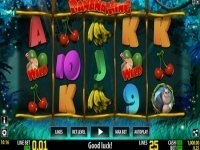 rr Enter a World with a new king of the Jungle in the 5-reel 25-payline free slots game, Banana King from World Match! The chimpanzees..
3D Farm is a new 20 payline slot machine game created by WorldMatch. 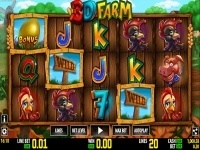 rr If you love Farm Games, you`re certainly going to fall in love with the popular themed 3D Farm Slot! The game features comic styled.. This is a 25 payline online slot machine from WorldMatch. rr Pin up styles have definitely coming back to light lately and World Match have taken this opportunity to pick up with the trends. The..
80 Days Adventure is a 25 payline slot machine developed by WorldMatch. rr As one of the newest online casino slots from World Match, 80 days adventure was thrown into the market on July 31, 2014. It's HD and 3D.. This is a new 25 payline slot machine game created by WorldMatch. rr Run with the bulls and win the competition in the all new Arena de Toros slot machine from World Match! This sumptuous slot machine has..
Bandits Bounty is a 20 payline online slot machine from WorldMatch. rr Bandit's Bounty is that kind of game which would successfully take you back in time in the exciting wild west atmosphere. At the same.. This is a new 20 payline slot machine developed by WorldMatch. rr Get ready to bee crazy! Welcome to the world of Bee Crazy Slot, where the colorful flowers full of pollen never lack, to the delight of.. Enter the mysterious and provocative world of Burlesque Video Slot! Let those girls entertain you with sensual moves and pirouettes, their soft way of singing and sensual dancing in a hot 3D show without precedent. The..
Elite Commandos is a 20 payline slot machine developed by WorldMatch. rr The excellence of all the military commandos are fighting to free the country from dictatorship: thanks to the three-dimensional.. This is a 20 payline slot machine game created by WorldMatch. rr In a game reminiscent of the freaks in the 4th season of American Horror Story comes the 5-reel, 15-payline free slots game, Freaky.. Fruits Evolution is a 20 payline online slot machine from WorldMatch. rr Are you ready for the fruit machine that will challenge all other fruit machines for top online? One of the most popular themes for.. This is a 25 payline slot machine developed by WorldMatch. rr Golazo! is a video slot developed by the WorldMatch company, and it includes the usual number of five reels and twenty-five paying..
Insect World is a 20 payline slot machine game created by WorldMatch. rr Explore the insect world in this 5-reel 15-payline free slots game from World Match! The Bug's World can be filled with.. This is a 25 payline online slot machine from WorldMatch. rr The pioneer WorldMatchÂ software company created the video slot of 5 reels and 25 pay lines called Jungle Mania, which is committed to..
Magic Lamp is a 25 payline slot machine developed by WorldMatch. rr Magic Lamp is a contemporary video slot brought to you by the famous developer World Match. The slot offers a wide array of features as.. This is a new 20 payline slot machine game created by WorldMatch. rr Will you be so brave to challenge the most skilled fighters? Will you venture into the arena in the 5-reel Maximum Slot?With the new..
Medusas Lair is a 25 payline online slot machine from WorldMatch. rr This is a game which has managed to successfully maintain all its feats when it transferred to mobile by keeping all of the quality as.. This is a new 20 payline slot machine developed by WorldMatch. rr How spicy do you like your Chili? You must be very brave because the Mexican Cook slot serves only burning hot chili in this comical..
Monte Carlo Jewels is a 20 payline slot machine game created by WorldMatch. rr Precious stones, gold bars and tons of shiny jewels will make your head spin with excitement: Monte Carlo Jewels slot is the most.. This is a 25 payline online slot machine from WorldMatch. rr It is said that at the foot of a rainbow, there is always a pot of gold waiting for someone to find it. This might be just a myth, but..
Sugarush is a new 20 payline slot machine developed by WorldMatch. rr Sugarush Slot recreates a fantasy world even Willy Wonka would be proud of, full of every delight a glutton could desire: chocolates.. This is a new 20 payline slot machine game created by WorldMatch. rr The Last Crusade slot is based on the history of the crusaders who struggled to gain ground in the Holy Land through a series of raids..
Uga Age is a 25 payline online slot machine from WorldMatch. rr The free online Uga Age slot machine is a 5 reel goofy looking pokie with 25 adjustable pay lines coming from HD WorldMatch. The theme.. This is a new 20 payline slot machine developed by WorldMatch. rr Play the free slots game Vampire Killer! The 5-reel 15-payline slot game Vampire Killer is inspired by the popular legend of the Count..
Book Of Pharaon is a 50 payline slot machine game created by WorldMatch. rr Recently upgraded, The Book of Pharaon is one of the latest World Match's additions to the already sizeable pool of its popular video.. This is a 25 payline online slot machine from WorldMatch. rr Dante's purgatory is a new Video slots game by WorldMatch that continues the popular story of the life of Dante and in this second.. Into The Woods is a 25 payline slot machine developed by WorldMatch. rr The free online Into the Woods slot machine is a classic pokie coming from HD WorldMatch game producer. It has 5 reels and 25 lines.. This is a 25 payline slot machine game created by WorldMatch. rr Who would have thought that Jungle monkeys can be together with sea sharks in any kind of story? Well, the creative team of software..
Rockabillions is a 25 payline online slot machine from WorldMatch. rr It seems that the WorldMatch company got their inspiration for the Rocabillions video slotÂ from the fast and exciting world of cars.. This is a 20 payline slot machine developed by WorldMatch. rr The fans of the comic books, animated movies and heroes will be delighted to know the new slot named the free online Super Heroes HD..
Superbikes HD is a 25 payline slot machine game created by WorldMatch. rr The free online Superbikes HD slot machine was developed by World Match slot company, which is one of the leading slot creators.. This is a 25 payline online slot machine from WorldMatch. rr Dante's Paradise is a non-progressive 5-reel 25-payline video slot game with a jackpot of 1.000 coins. Set in the scenery of imaginative.. Ace Adventure is a 25 payline slot machine developed by WorldMatch. rr The first impression left by Ace Adventure is what matters the most. This game will instantly impress you with its flawless 3D and HD.. This is a 20 payline slot machine game created by WorldMatch. rr World Match is currently a thriving video slot developer. Regardless of the bumps that it had to go through over the last few years, the..
Code Red is a 25 payline online slot machine from WorldMatch. rr The World Match's slot of 5 reels and 25 pay lines is the latest technology video slot, based on the theme of saving the earth from the.. This is a 25 payline slot machine developed by WorldMatch. rr Released in 2013, Crime Records is a video slot game inspired by TV shows such as CSI and other that include forensics and crime..
Dantes Hell is a 25 payline slot machine game created by WorldMatch. rr Based on the popular novel by famous Italian medieval poet Dante Alighieri, Dante's Hell is a 5-reel 25-payline online slot machine with.. This is a 25 payline online slot machine from WorldMatch. rr If you love to play online slot games with interesting story lines then the new Dragon's Reels slot game by WorldMatch should hit the..
Fight Night is a 25 payline slot machine developed by WorldMatch. rr Fight Night is a 5-reel 25-palyine interactive and rewarding video slot game that features a range of possible winning combinations and.. This is a 25 payline slot machine game created by WorldMatch. rr With an out of this world graphics and sound effects, Secrets Of Poseidon is an online slots game that features free spins and.. Striking Viking is a 25 payline online slot machine from WorldMatch. rr Striking Viking is a non-progressive slot crafted by World Match and consists of five reels and twenty-five pay lines. Bringing the.. This is a 25 payline slot machine developed by WorldMatch. rr Mythos is a slot machine that features five 3-row reels and the total of 25 pay-lines, and it is designed and themed after Ancient..
Return Of The Phoenix is a 25 payline slot machine game created by WorldMatch. rr The World Match's video slot involves 5 reels and 25 pay lines and is based on the theme of an astonishing mythical bird that is.. This is a 25 payline online slot machine from WorldMatch. rr No exercise should be one sided. This is the message WorldMatch is trying to send with a completely lady themed slot. The Lady Glamour..
Viking Legend is a 20 payline slot machine developed by WorldMatch. rr The free online Viking Legend slot machine is another pokie from the HD WorldMatch gaming company. It has 5 reels and 25 lines which can.. This is a 15 payline slot machine game created by WorldMatch. rr Air Force is another successful video slot edition brought to you by World Match. The game manages to deliver excellent graphics and..
All Fruits is a 25 payline online slot machine from WorldMatch. rr All Fruits is a World Match video slot which stuns with perfect graphics and vivid sound effects. It also comes with a variety of.. This is a 25 payline slot machine developed by WorldMatch. rr If you are looking to play a slot with cute little angels who promote happiness and relaxation, you might as well look away. Angry..
Country Life is a 25 payline slot machine game created by WorldMatch. rr With peaceful and calm sounds combined with the cartoon-style graphics, Country Life is a quality video slot game that features free.. This is a 15 payline online slot machine from WorldMatch. rr As the name of the game suggests, the experience of this game is just adventurous. The game will take the player on a wild tour in the..
Fantasy Island is a 15 payline slot machine developed by WorldMatch. rr Set in the fantasy world where magical creatures live and fight, Fantasy Island is a multiline video slot game with some innovative.. This is a 15 payline slot machine game created by WorldMatch. rr World Match's Forbidden City is a 5-reel 15-payline non progressive video slot game set in the scenery of the palace of the Chinese..
Pirates Tavern is a 15 payline online slot machine from WorldMatch. rr This time the WorldMatch gaming company has been inspired by something different. Next to the interesting slots that they are made, now.. This is a 15 payline slot machine developed by WorldMatch. rr Stars Alliance is a non-progressive slot created by World Match that consists of five reels and fifteen pay lines. Incorporating the..
Sugarush HD is a 15 payline slot machine game created by WorldMatch. rr The Sugarush HD slot machine game was released by World Match gaming company, and as well as to the players accustomed, this is another.. This is a 1 payline online slot machine from WorldMatch. rr The free online Olympus HD slot game is one of the unique and original pokies which haven't been seen very often. With only 1 pay line..
Just Hot is a 5 payline slot machine developed by WorldMatch. rr WorldMatch created the Just Hot aimed at their most demanding clients. The game has colorful and clear graphics with 3D next-generation.. This is a 10 payline slot machine game created by WorldMatch. rr The Queen of Oceans video slot, developed by World Match company, is consisted of 10 pay lines and a variety of ocean-themed symbols..